A brother's love is a sister's greatest treasure. 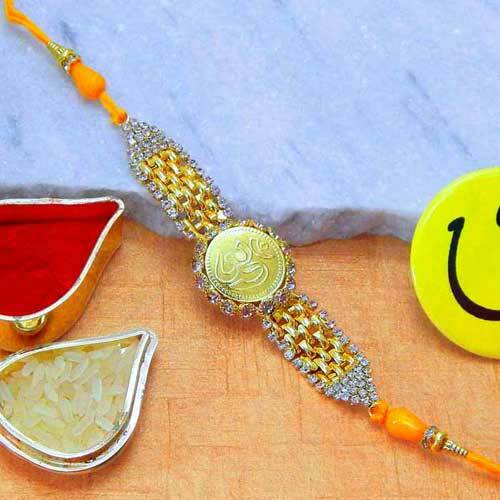 On this Raksha bandhan send him this beautiful rakhi which he will always treasure forever. 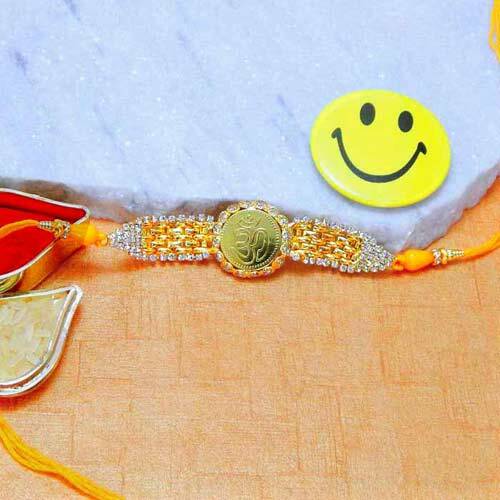 This watchlike designed BREACELET rakhi is all classy with golden metal base and translucent stones all over..